This study aims to find out how effective of the application of macro roles playing methods for the development of the oral language of children in the kindergarten of Darul Falah Padang city. This research uses quantitative approach with quasi-experiment research type. The study population is students in the kindergarten of Darul Falah Padang city and the sampling technique is purposive sampling. The data collection technique uses a test in the form of a statement of 4 statement items. Assessment techniques in this study use rating scale and the data is processed by difference test (t-test) and the effect size test with Cohen’s formula d to find out the magnitude of the influence.Based on the calculation of the t-test (t-test) obtained tcount of 3,1645 while the ttable is a 2,10092 at the real level ?=0,05 so that tcount> ttable and the effect size tets of the t-test is obtained for 1,488. Thus it can be concluded that macro roles playing methods are effective against the development of children’s oral language in the kindergarten of Darul Falah Padang city. Akil, Muhammad & Winata, Widia. (2017). Efektivitas Bermain Peran Untuk Pengembangan Bahasa Anak. Pembelajar: Jurnal Ilmu Pendidikan, Keguruan, dan Pembelajaran (Volume 1 Nomor 2). Arikunto, Suharsimi. (2010). Prosedur Penelitian: Suatu Pendekatan Praktik. Jakarta: Rineka Cipta. Madyawati, lilis. (2016). Strategi Pengembangan Bahasa Pada Anak. Jakarta: Kencana. Pudjianingsih, Wiwik. (2013). Metode Pengembangan Bahasa: Penerapannya Pada Pembelajaran Berbasis Tema dan Sentra di Taman Kanak-kanak. Jurnal Pena (Vol. 3 No. 2). Rumilasari, Tegeh & Ujianti. (2016). Pengaruh Metode Bermain Peran (Role Playing) Terhadap Kemampuan Berbicara Pada Anak Kelompok A. e-journal PAUD Universitas Pendidikan Ganesha (Volume 4. No. 2). Safriayani, Hasanah. dkk. (2011). 99 Ide Kegiatan Main Peran. Jakarta: INDOCAMP. Sugiyono. (2015). Metode Penelitian Pendidikan (Pendekatan Kuantitatif, Kualitatif, dan R&D). Bandung: Alfabeta. Susanto, Ahmad. (2017). Pendidikan Anak Usia Dini (Konsep dan Teori). Jakarta: Bumi Aksara. Syafril. (2010). Statistika. Padang: Sukabina Press. PUTRI, Maidita; RAKIMAHWATI, Rakimahwati; ZULMINIATI, Zulminiati. Efektivitas Penerapan Metode Bermain Peran Makro terhadap Perkembangan Bahasa Lisan Anak di Taman Kanak-kanak Darul Falah Kota Padang. 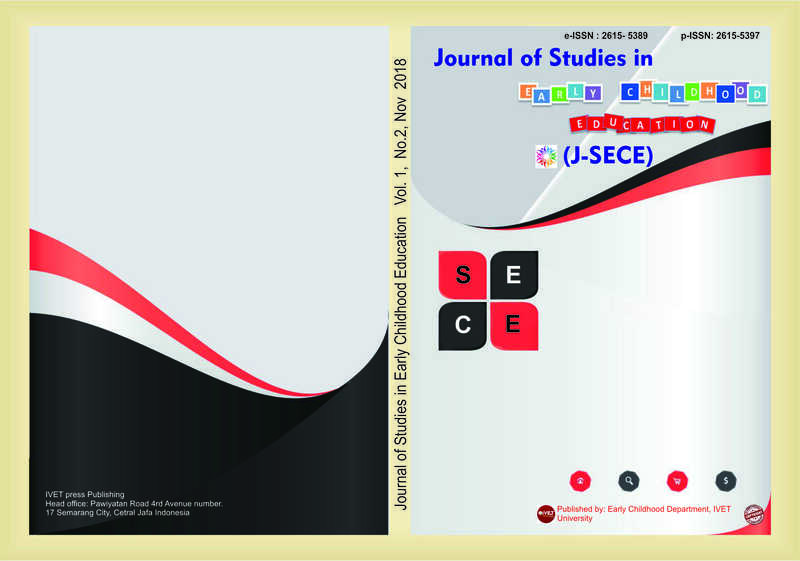 Journal of Studies in Early Childhood Education (J-SECE), [S.l. ], v. 1, n. 2, p. 171-179, nov. 2018. ISSN 2615-5389. Available at: <http://e-journal.ivet.ac.id/index.php/sece/article/view/730>. Date accessed: 22 apr. 2019. doi: https://doi.org/10.31331/sece.v1i2.730.